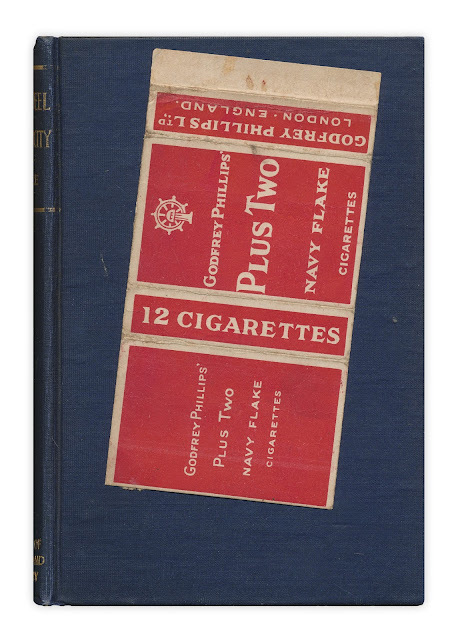 Flattened box of "Godfrey Phillips' Plus Two Navy Flake Cigarettes." Found in "Steam, Steel and Electricity" by James W. Steele. Published by Saalfield, 1903.